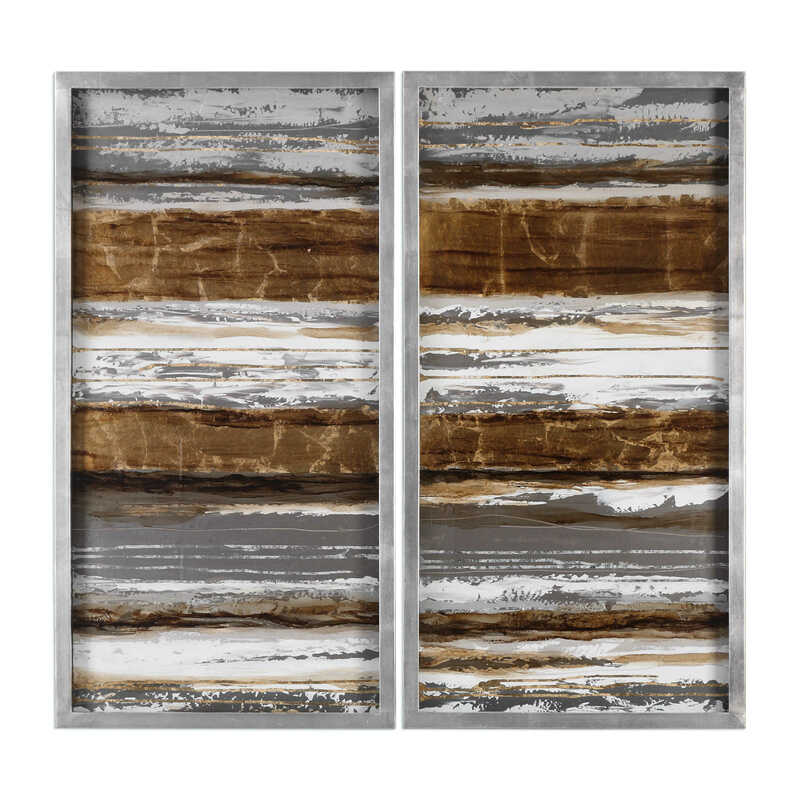 Metallic, neutral shades are used in this modern, hand painted artwork on hardboard. 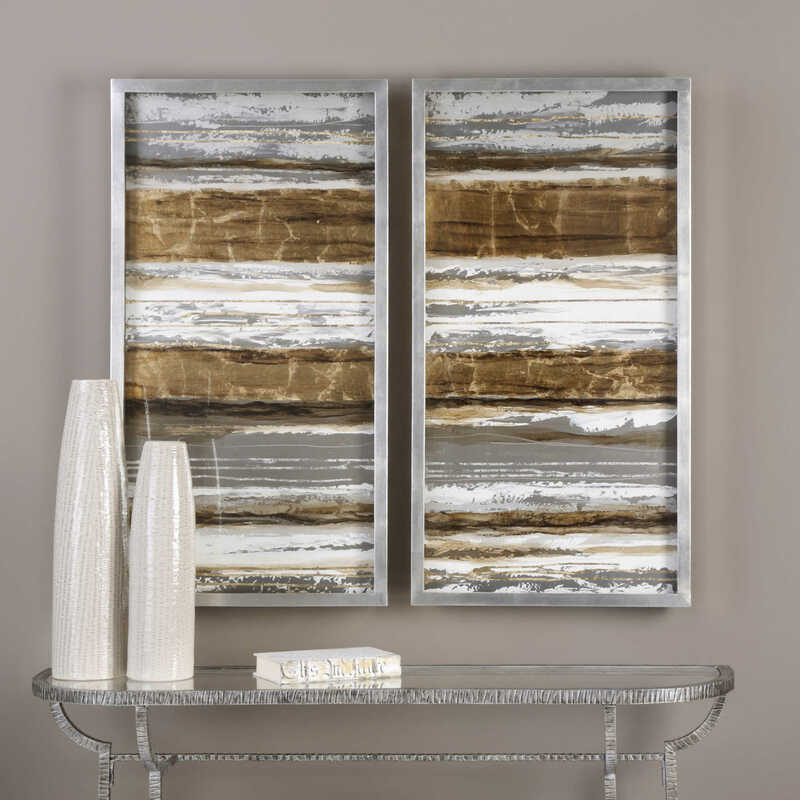 Each piece of artwork is encased in a bright, silver leaf frame and is placed under protective glass. Due to the handcrafted nature of this artwork, each piece may have subtle differences. These pieces may be hung horizontal or vertical.